After wins for the top four in the Premier League on Saturday, Manchester United and Everton obliged for favourite-backers yesterday, heaping the pressure on sixth-placed Arsenal for their trip to Crystal Palace tonight. 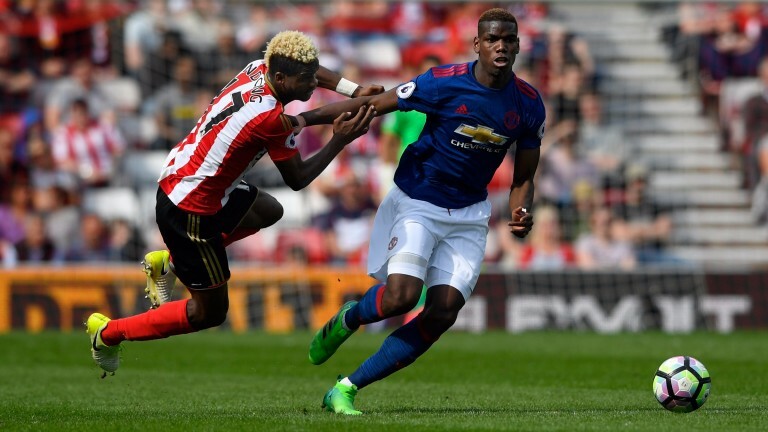 United are 4-1 to finish in the top four after a 3-0 victory at ten-man Sunderland, who are ten points from safety and 1-100 to be relegated. The Black Cats have gone seven top-flight games without a goal and Coral offer 80-1 that they fail to score in their remaining seven league matches. Bet365 have chalked up David Moyes’s side at 2-1 not to win again in the league this season while Coral make it a 9-4 chance. Liverpool are 1-3 to finish in the top four with Arsenal 3-1 and Everton 500-1. The Toffees moved level on points with the Gunners, having played three more games, thanks to a 4-2 home win over Leicester. Backers of Tom Davies at 12-1 to score first had to wait just 30 seconds for the midfielder to put Everton ahead and the 4-2 correct score was a 66-1 shot. Romelu Lukaku scored twice to go four goals clear in the race for the Golden Boot. The Belgian is 2-5 to finish as top scorer, ahead of Harry Kane at 13-2 and Arsenal’s Alexis Sanchez at 14-1. Best prices – Premier League: 1-14 Chelsea (Betway), 10 Tottenham (general), 150 Man City (bet365, Betway), 500 bar; relegation: 1-100 Sunderland (bet365, Sky Bet), 1-20 Middlesbrough (bet365), 10-11 Swansea (general), 7-5 Hull (Paddy Power), 7 Crystal Palace (bet365, Power), 50 bar; top-four finish: 1-50 Tottenham (Power), 1-7 Man City (general), 1-3 Liverpool (general), 3 Arsenal (Sky Bet), 4 Man Utd (general), 500 Everton (Sky Bet).